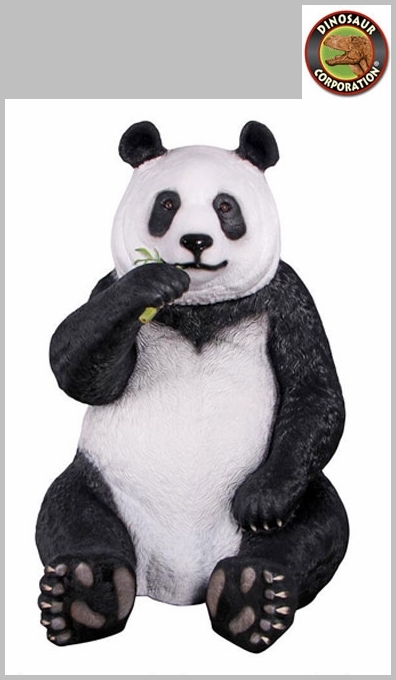 Giant Panda Bear Statue. Giant Panda Bear Outdoor Sculpture is sitting comfortably munching on a sprig of bamboo, he is happy to offer seating for two. 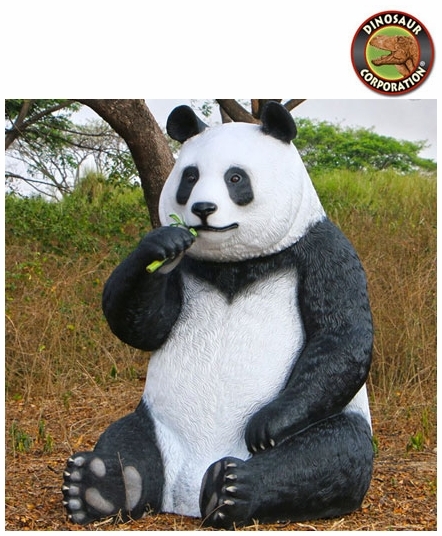 Fontong means big eater in Chinese and is a truly fitting name for this life-size, over seven-foot tall, endangered Giant Panda cast in quality designer resin, reinforced with fiberglass for strength, then hand painted with the classic black eye patches, black and white markings and massive furry paws. * Size: 65" W x 53" D x 75�" H.
* Weight Limit: 200 lbs.